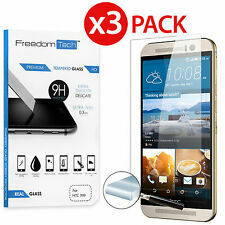 3 x Tempered Glass Screen Protector FOR HTC ONE M9. Compatible with: HTC ONE M9. 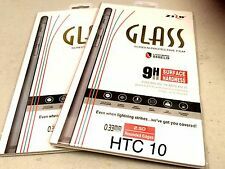 Made with high quality 0.33mm thick premium tempered glass with rounded edges exclusively FOR HTC ONE M9. Whole Transparency: The protector is 0.33mm thick and made with chemically treated, transparent tempered glass. 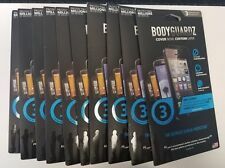 Lot of 10 Bodyguardz Universal Customizable Screen Protector 3.5" X 5.5"
1 Customizable Grid. 1 Universal Screen protector. 2.5 out of 5 stars - Lot of 10 Bodyguardz Universal Customizable Screen Protector 3.5" X 5.5"
4 product ratings4 product ratings - Lot of 10 Bodyguardz Universal Customizable Screen Protector 3.5" X 5.5"
Bodyguardz Pure Premium Screen Protector For HTC One A9. Tempered glass protector. Tempered glass. Chemically hardened te,pered glass for Maximum impact and scratch protection. Crystal clear. Smooth, anti-smudge glass. 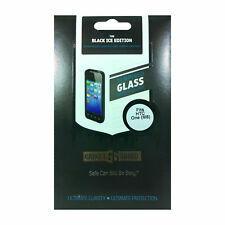 Gadget Guard Black Ice Screen Guard for HTC One (M8). Compatible Device : HTC One (M8). It may seem like magic, but trust us it is the good kind. When you lay our custom cut Black Ice Edition Screen Guard over your freshly clean touchscreen and tap it in place, it will affix itself in a way that science has trouble explaining. BodyGuardz Pure Glass Tempered Screen Protector. This screen protector features a smudge-resistant coating to prevent fingerprints and anti-shatter glass for safety and premium optical clarity. 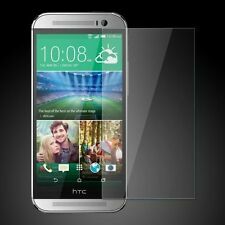 This Screen Protector is Compatible with HTC ONE A9. Flexible Glass: Smooth as Glass that is shatterproof and anti-scratch. Instant bubble-free appearance. Case friendly fit. HTC One M7. Protect your phone front LCD screen against dust and scratches. Designed for perfect fit with the LCD screen. 6 Screen Protectors. We stand behind our products. Attaches smoothly with self-adhering surface; leaves no residue when removed. $BodyGuardz Premium Tempered Glass Screen Protector For HTC One A9 (Only compatible with HTC One A9) Retail price: $35 Color: Clear The ultimate screen protection! Features: Easy installation Extreme impact & scratch protection Smooth, anti-smudge glass Crystal clear Advantage lifetime replacements Package includes: BodyGuardz Tempered glass Screen protection Microfiber cleaning cloth Application instructions Your package will ship within 24 hours of payment. Customer satisfaction is our #1 priority. If there is any issues, contact us promptly. 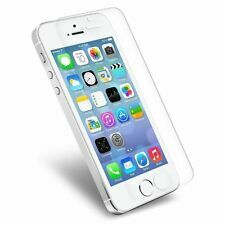 Whole Transparency: The protector is 0.4mm thick and made with chemically treated, transparent tempered glass. Even shard objects such as knives and keys will not scratch the protector. Anti-Shatter Film: If broken, the protector breaks into small pieces that are not sharp, making it safer than other glass products. Clear finish. 3X Shatter protection. Dry application, Self healing, Military grade. 2 Protectors cover front and back of device. UNBEATABLE VALUE. iPhone 8 Cases. Phone Batteries. ArmorSuit MilitaryShield HTC One Remix Screen Protector (Case-Friendly) NEW! 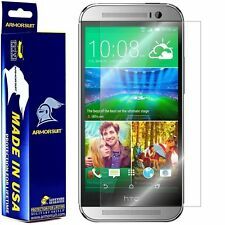 ArmorSuit MilitaryShield HTC One M8 Screen Protector w/ LifeTime Warranty! New! Clear finish. 3X Shatter protection. Dry application, Self healing, Military grade. 2 Protectors cover front and back of device. Let's Get In Touch! Tablets Accessories. Browse our. Cell Phones Batteries. ScreenGuardz Pure is an ultra-thin layer of chemically tempered glass exceeding the hardness of steel. No matter what you're protecting, ScreenGuardz Pure is the clear choice. Performance is ensured by a smudge-resistant coating, coupled with high touch sensitivity.